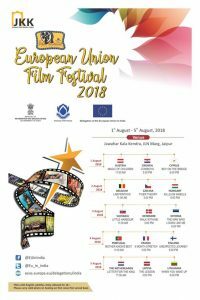 The first-ever European Union Film Festival (EUFF) will begin from tomorrow (1 August) at Rangayan of Jawahar Kala Kendra (JKK). 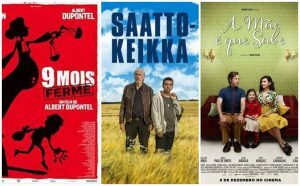 The 5-day multi-lingual film festival will end on Sunday, 5 August. It will bring an eclectic selection of latest and award-winning movies from EU Member States. EUFF is being organized by the Delegation of the European Union and embassies of EU Member States in collaboration with JKK. The movie screenings will only provide entry to people aged 18 years of age and above with valid photo id proof. All movies will also have English subtitles. 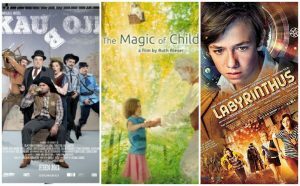 Celebrating diversity, the festival will open with the award-winning movie ‘The Magic of Children’ from Austria on Wednesday, 1 August at 11 am. This movie has been directed by Ruth Reiser. This will be followed by ‘Cowboys’ from Croatia at 3 pm and ‘Boy on the Bridge’ from Cyprus at 6 pm. Next day, on 2 August, ‘Labyrinthus’ from Belgium will be screened at 11 am, followed by ‘Tiger Theory’ from the Czech Republic at 3 pm and ‘Kills on Wheels’ from Hungary at 6 pm. On Friday, 3 August, ‘Little Harbour’ from Slovakia will be screened at 11 am, followed by ‘Walk with Me’ from Denmark at 3 pm. The day will conclude with ‘The Man Who Looks like Me’ from Estonia at 6 pm. It is to be recalled that the festival is being organised after a successful series of film and orientation courses held at JKK recently. The EUFF, which kick-started in New Delhi, is now traversing through 10 other Indian cities including Chennai, Port Blair, Pune, Puducherry, Kolkata, Jaipur, Visakhapatnam, Thrissur, Hyderabad and Goa.